Your roof may be one of the most expensive parts of your home. They aren’t fun to replace and if it isn’t working correctly your home can suffer from serious damage causing the value to plummet. In severe cases, if the damage is left unchecked you can even cause structural damage to your entire home. Considering the following details will help determine how long your roof will last. One of the first considerations is the age of your roof. If you aren’t sure, do some checking to get an idea. A good roof can last decades if it doesn’t suffer from weather damage. When purchasing a home, it’s important to ask how old the roof is, if they know what roofing materials were used and if there is a home warranty with the purchase. These details will help to give you an idea of how many years you can get out of the roof. In addition, you should hire a high quality, professional inspector to thoroughly check your home. Composite or asphalt shingles are used on the majority of homes and these can last around 20-years, with some brands lasting much longer depending on their quality. If the material used was fiber cement, you can get around 25 years out of it. If shake or architectural shingles are used you will get around 30 years from your roof in most cases. 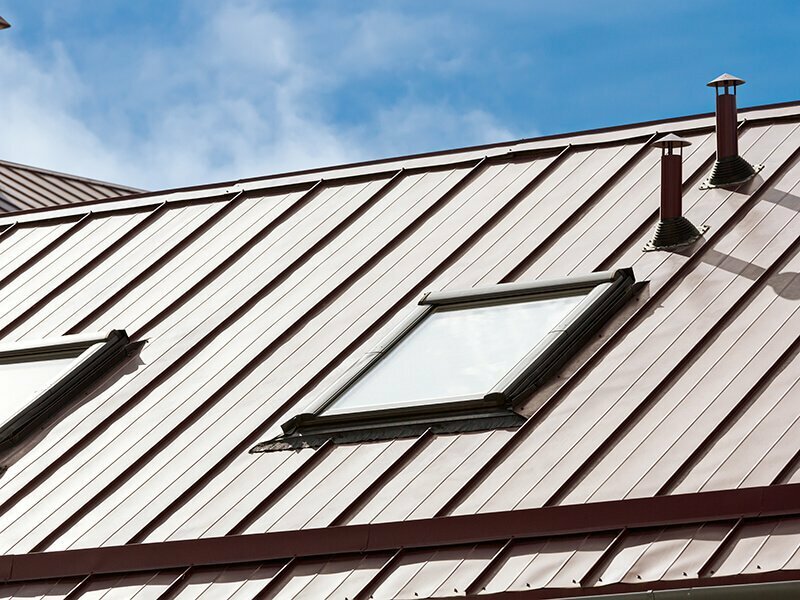 If you have metal, the International Association of Certified Home Inspectors says you will have a roof that lasts anywhere from 40-80 years. There are some homes that even have slate roofs. Inspectors have found slate roofs that are more than 100 years old and still doing their jobs. If your roof is made of durable materials such as tile, slate or metal, it will stand up to even the harshest weather conditions. Even considering that, they can sustain damage with certain conditions occur. High winds can loosen shingles along the edge and even rip them off. With a loose shingle, the area will become susceptible to damage. Depending on the conditions, you may see suction from wind that rips material away, chimney bricks can be loosened, tree branches and satellite receivers can fall and cause damage. Severe storms can bring hail which can damage even the strongest roofs. Hail can crack tiles, dent metal and wear away thick shingles. Most material will resist small amounts of hail, but the larger the storm, the more important it is for you to check for damage after. Even snow can cause damage such as cracking, and weakened shingles and tiles. The intense UV rays of the sun may also break down materials, this is especially true for wood shake and asphalt. It is important to regularly check your roof for damage and signs of trouble to come. Inspect your shingles to make sure none are curling up at the edges or appear buckled. Check for cracks, check your gutters for asphalt granules, which indicates the protective covering is wearing off. In tile and slate roofs, hail may cause small punctures, and surface flaking can happen. Be sure to check for water damage in your attic as well. It’s not a bad idea to get a roof inspection every few years to prevent any damage escaping early detection and to get a professional opinion of how long your roof will last. If you would like a free inspection please give us a call at Transcendent Roofing.